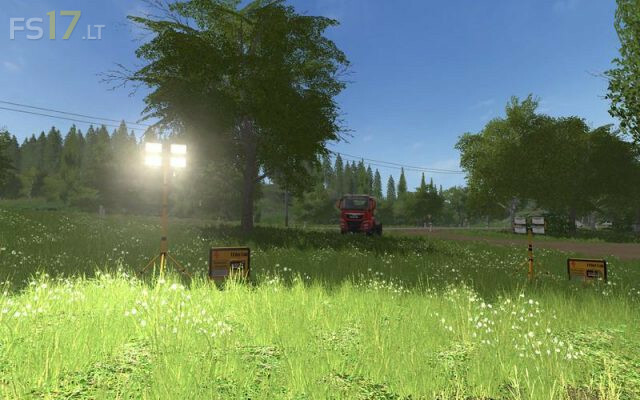 Here we have for you a spotlight for your field and forestry work, the spotlight is issued by you, as soon as the spotlight is extended, the emitters go on automatically. When retracting the lamps go out again. The spotlights are very strong so that you can work great even with larger fields.